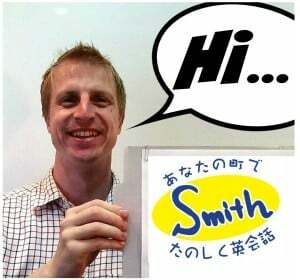 I don’t know why but I have a strong interest in English.My English has only just begun but I’m very happy as I am walking on air when I get through to foreigners.Derek-sensei always coaches me very kindly, politely, patiently and heartily. I want to keep studying English under Derek-sensei and I dream I can speak English fluently someday. I’m an elderly woman, so I forget what I have learned even though I memorized it right away. I’m still looking forward to my lesson days and I can’t wait for them. I want to keep up studying English as long as I keep well with my Roujin-ryoku, which basically means that the old have the special ability of being able to forget anything easily. I use this to be able to willingly review material.I really like my teacher. I couldn’t be happier to have met Derek-sensei.I will do my best. Thank you very much for everything.